Courtesy of Atlantis Records Wallows released its debut album March 22. Lead singer Dylan Minnette (center) is known for his role in Netflix's "13 Reasons Why." Like many college students, the members of indie rock band Wallows are a group of 20-somethings trying to figure life out. The biggest difference: they just dropped a debut album about it. Released March 22, “Nothing Happens” is a coming-of-age album for processing interpersonal relationships, self-image and feeling stagnant. Right from the start, there’s the juxtaposition of what’s heard and what’s being said. The L.A. rockers have crafted an album ideal for relaxing on a beach when listening casually, but focusing on the words is best done alone in one’s room with time to reflect. The song transitions seamlessly — the first of many smooth transitions — into the second track, “Treacherous Doctor.” This attention to detail speaks to the artist’s intentionality and makes for an uninterrupted experience for the listener. The track contains more dismal lyrics about self-image as singer and guitarist Braeden Lemasters sings “Can you replace my eyes for yours / And see what I really look like / I could help you criticize.” The blown-out mess of instruments that disrupts the flow echoes the chaos of those self-deprecating thoughts. The infectious lead single “Are You Bored Yet?” reads like a couple’s interaction intermingled with the individuals’ internal monologues. The two seem to hope the other isn’t disinterested, but avoid the difficult conversation. The track features electropop singer Clairo who helps with the illusion of a discussion. A weirdly unsettling music video of Minnette’s karaoke experience, released with the single, accompanies the welcoming tune. The crowd features Noah Centineo of Netflix’s “To All The Boys I’ve Loved Before,” Brian Jones of The Rolling Stones and fellow indie rockers Hunny creeping in on Minnette as he sings. In a dramatic twist, the whole event was in his head and he was up next to perform. “I’m Full” is likely to translate well live as it builds to a full-blown jam session complete with the cymbal crashes from drummer Cole Preston. The song gives the listener a chance to jump around and release some of that anxious energy that radiates through the lyrics of the album. As the energy of “I’m Full” dies down to a calm and collected end, it makes way for another seamless transition into the reflective closing track “Do Not Wait.” The song begins with slow, low synth and Minnette’s vocals. Halfway through, the song shifts introducing the rest of the band. The repetition of the chorus creates a stable, reassuring element to contrast otherwise unsettling lyrics. The introspective lyrics of “Nothing Happens” pose questions and situations not addressed on a day-to-day basis. While people might not come out and say “I’d switch it up but I don’t like change / Only content if things stay the same” from “Scrawny” or “Am I afraid of you? / Do I pretend I don’t care?” from “Worlds Apart,” why not sing about it? When put on repeat, it’s revealed the guitar riff fading out the album is the same as the one starting it off — effectively bookending the work. While not uninterrupted, this repeated element enforces the notion of the album as a cohesive piece created with care. “Nothing Happens” is available to stream and buy on Spotify and iTunes. Vinyl is available at local record stores and at www.wallowsmusic.store. 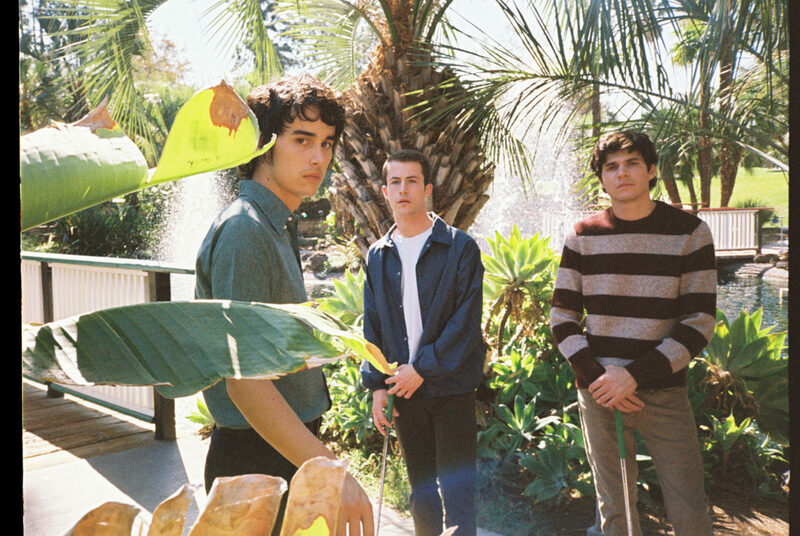 Wallows will be playing an already sold-out show at Metro (3730 N. Clark St.) May 15.